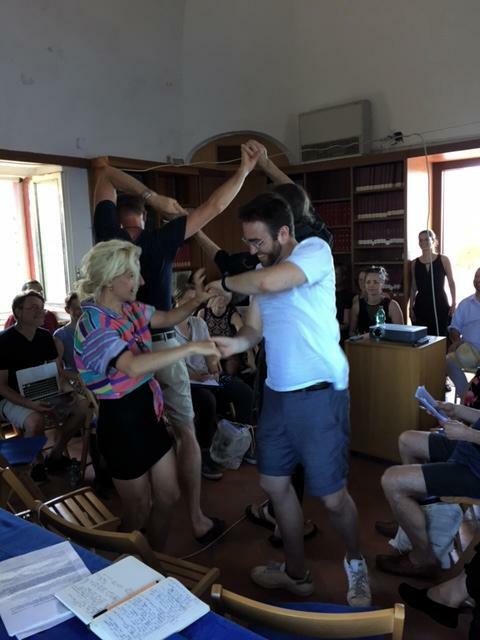 Janet Browne (Harvard University), Christiane Groeben (Naples, local organiser), Nick Hopwood (University of Cambridge), Staffan Müller-Wille (University of Exeter) and the Stazione Zoologica Anton Dohrn. To examine the causes of life, we must first have recourse to death. Thus Viktor Frankenstein became “capable of bestowing animation upon lifeless matter”. 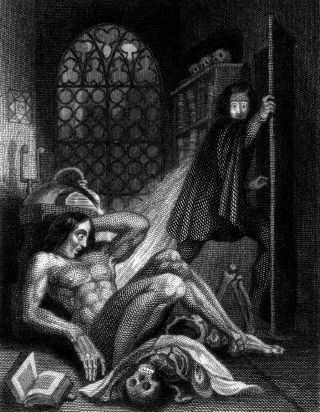 Mary Shelley wrote at a time of great conceptual and practical transformation in the relations of life and death. The issues she raised still resonate in biology and medicine today, and our age of ‘brain death’ and ‘programmed cell death’ has tabled its own urgent questions. For if life and death have been opposites, and even this may be questioned, they have been opposed in very various ways. This summer school will explore that variety, seeking patterns across time and cultures, fields of study and levels of analysis. It aims to reassess received views of continuity and discontinuity in the entanglements of life and death between the middle ages and the present day. The medieval synthesis of Aristotelian philosophy and Christian theology posed anew the problem of life and death, reviving debate over bodily mortality, the immortality of the soul and the practicalities of resurrection. Since classical antiquity, life had consisted in the possession of a plurality of capacities — the Thomist soul was as complex as Aristotle’s — and death in their removal: there were many lives, but one negation, a view compatible with the Christian belief that the immortal soul left the body in an instant. Yet death, with disease, was also a defining characteristic of living beings: only they can fall ill and eventually die. By the Renaissance, modernizing critics of Aristotelian natural philosophy, led by Francis Bacon and René Descartes, sought proof of the superiority of their views in reforms of Galenic medicine that, they promised, would realize the ancient dream of the prolongation of human life. In early modern medicine, death provided physicians with opportunities for numerous autopsies that in the sixteenth and seventeenth centuries began to raise urgent and difficult questions about the seats and causes of disease. Had departures from the healthy state caused or just accompanied death; did they represent morbid processes or result from mere decay? Could anatomical changes ever reveal anything about the chemical causes of ageing or disease? Intense engagement with the problem of life and death is often traced to the later eighteenth century. A rising tide of alarm at the prospect of being buried alive spawned scepticism about the standard definitions and signs of death; this led to such institutions as death certificates signed by physicians, dead-houses where cadavers could be stored to find out if they were really ready to rot, and the humane societies that sought to resuscitate those who perhaps only appeared to have died from drowning, asphyxiation or a lightning strike. Meanwhile, experimenting physicians added vital forces to mechanical philosophies as they turned death from the work of an instant into a process, a set of smaller deaths. They fostered the idea that the body dies from the outside in, with the possibility that the seemingly dead could still retain some spark of vitality in the heart, the first organ to pulse with life and the last to die. Vitalism suggested that ‘life’ extended beyond the individual lifespan, that life as such was immortal. Without a general conception of ‘life’, death had been a mere absence; it had no positive content. For the anatomist Xavier Bichat in Paris around 1800, death was still privation: “Life’, in his famous formula, “is the totality of functions which resist death.” Yet on the larger scale of populations, George-Louis Leclerc, Comte de Buffon and Carl Linnaeus had already argued that death kept nature in balance and the total quantity of life the same. Extinction and its role in the earth’s history was much discussed. We shall explore how death acquired its own distinctive features as it gained a place within the very concepts of life. Later-nineteenth-century physiology radicalized this view. Claude Bernard argued that, “when we wish to designate phenomena of life, we refer in reality to phenomena of death”. Life relied on consumption, destruction and disorganization; it was, in the words of chemist Eilhard Mitscherlich, “nothing but a putrefaction”. Conversely, the germ theorists had shown that putrefaction itself was no absence of life, but resulted from its proliferation in microscopical forms. Whereas death for Cuvier was an a priori threat, Darwin’s theory of evolution by natural selection made death the ever-active agent familiar from Thomas Robert Malthus’s principle of population. Actuaries priced life expectancy in insurance schemes, and demographers, now charting birth-rates and death-rates, darkly predicted the deaths of whole peoples. Nightmares of the disharmony of land, food and people were realized in murderous biopolitical experiments. The conceptual internalization of death within life also inspired therapeutic strategies from anaesthesia, which produced states of suspended animation, to antisepsis and chemotherapy, those techniques of selective cellular killing, but left no place for the soul. Yet twentieth-century medical science lost its tolerance of death as an inevitable hazard of life; death became not a mere privation, but a threat to life, to be fought off just like any disease. The dream of prolonging life increasingly guided clinical practice and public health; science promised to conquer death. Leading life scientists, notably Elie Metchnikoff of the Pasteur Institute, coiner of ‘gerontology’, wondered if there was such a thing as ‘natural death’ or any preordained limit to the human lifespan. The more pessimistic zoologist August Weismann argued that death had evolved in multicellular organisms because once the work of reproduction (including parental care) was done, and the immortality of the germline assured, “the unlimited existence of individuals would be a luxury without any corresponding advantage”. Death was an evolutionary adaptation. In an engineering perspective, however, proper maintenance of the body-machine could, in principle, postpone death almost indefinitely, provided the environment was right and genetic deficiencies were corrected. As life relied increasingly on technological support, definitions of death, notably ‘brain death’, introduced with heart transplants in the late 1960s, came to depend on the current state of medical technology. People feared not burial alive but, on the one hand, being kept alive artificially, and on the other, premature organ donation. Modern biomedicine researched ageing and death at the levels not just of population and individual, but also of cells and molecules. The surgeon Alexis Carrel’s early twentieth-century claims of cellular immortality — for cultures of embryonic chick heart that appeared set to divide for ever — were challenged in the 1950s by the view that normal cells could divide only a certain number of times before coming up against the ‘Hayflick limit’, today interpreted as a consequence of telomere shortening. Cell lines, most famously and notoriously the HeLa cells derived from an African-American cancer patient, owed their immortality to pathological transformation. Refrigeration technologies slowed or even halted life’s processes in sperm and embryos, microbes and seeds, allowing their distribution across space and time. Programmed cell death (apoptosis) has become a major area of investigation, as the process that shapes bodies, for example, by sculpting digits in vertebrate embryos, and is inhibited in diseases, notably cancers in which cells accumulate more through decreased death than increased proliferation. In cellular terms, our bodies are today framed as scenes of carnage — billions of cells die every day — and as teeming with life through hosting trillions of microbes (the ‘microbiome’) that, from the skin to the gut, help keep us alive. The Readings list for the 2019 Ischia Summer School is publicly available. The files themselves, however, are protected by copyright laws; so the participants will be given a login to a download for a 75MB archive of PDFs. Bacon, Francis, Historia vitae et mortis, in The Instauratio Magna Part III: Historia Naturalis et Experimentalis: Historia Ventorum and Historia Vitae et Mortis, ed. by Graham Rees, with Maria Wakely (Oxford: Clarendon Press, 2007), pp. 140–149; 346–377. Frederick Gregory: Nature Lost? Natural Science and the German Theological Traditions of the Nineteenth Century, Cambridge Harvard UP, 1992, pp. 38-42. Cannon, Walter B. “‘Voodoo’ Death.” American Anthropologist 44, no. 2 (1942): 169–81. Richter, Curt P. “On the Phenomenon of Sudden Death in Animals and Man.” Psychosomatic Medicine 19, no. 3 (1957): 191–98. Medawar, P.B. “An Unsolved Problem of Biology.” In: The Uniqueness of the Individual (pp. 44-70). Basic Books: New York, 1958 . Optional: Weismann, A. “The Duration of Life.” In: Essays upon Heredity and Kindred Biological Problems (pp. 5-35), Vol. 1, 2nd edition. Clarendon Press: Oxford, 1891. Optional: Grmek, M.D. “The Causes and the Nature of Ageing.” In: Pathological Realities: Essays on Disease, Experiments, and History (pp. 86-103). Edited, Translated, and with an Introduction by Pierre-Olivier Méthot. Foreword by Hans-Jörg Rheinberger. Fordham University Press: New York, 2019 . TallBear, Kim. "Beyond the Life/Not Life Binary: A Feminist-Indigenous Reading of Cryopreservation, Interspecies Thinking and the New Materialisms” in Radin, Joanna and Emma Kowal (eds), Cryopolitics: Frozen Life in a Melting World (2017): 179-202. Ewing, Ann. “Live Cells Frozen Alive” The Science News-Letter, Vol 81, No 16, 21 April 1962: 246. Howley, Kerry. “Until Cryonics Do Us Part” The New York Times Magazine. 7 July 2010. “Indigenous Tribe’s Blood Returned to Brazil After Decades” BBC News. 3 April 2015. “Divided States of Analgesia,” 131-167 (or the first 25pp. thereof) in Keith Wailoo, Pain: A Political History (Johns Hopkins University Press, 2014). Lectures last for up to 30 minutes in one-hour slots, leaving at least 30 minutes for discussion. Peder Anker’s seminar session, during a dance illustrating cycles. Seminars focus on pre-circulated texts that for a readings list. Students are allocated to individual seminar groups (see programme below), to prepare the seminar in consultation with the seminar leader. Often these have an introduction by the seminar leader (5–10 mins), then short informal contributions (2–3 mins) in which the student presenters table questions set by the seminar leaders, followed by discussion in smaller groups and reporting back led by the presenters; but other collective and interactive ways of engaging with the reading materials are used as well, with students drawing on their own projects to shape the discussion. The discussion forum is meant for school announcements and to facilitate discussion, including preparing for the seminars before the School takes place. When the timetable is finalized, it will appear here. It will have a similar structure to the previous edition you can consult here. There is a charge for students of €300 each, covering hotel accommodation and all meals; but students needed to pay for their own travel to Ischia. The directors will consider requests to waive the charge for qualified students unable to raise the money themselves, typically from non-Western institutions, when supported by a detailed financial statement and a letter from their institution’s head. The 2019 School is financially supported by the Thyssen Foundation, George Loudon and the journal History and Philosophy of the Life Sciences. Registration fees and/or registration forms due. The body of the email should start with the applicant’s full name (surname, first name, and middle names or initials if desired). The 300-word application, the CV and the recommendation letter should be attached as files (preferably PDF format), named with your surname+firstname and indicating whether it’s your application (‘app’), CV (‘cv’), or recommendation (‘rec’). Example: Applicant Alfred E. Neumann attaches to an email (1) their 300-word statement of interest named NeumannAlfred-app.pdf, (2) their brief CV named NeumannAlfred-cv.pdf, as well as (3) their supervisor’s recommendation letter named NeumannAlfred-rec.pdf. After submitting, you should receive confirmation within 24 hours that your attachments arrived in readable form. Alternatively, the candidate might send only their application and CV as above, with the recommendation emailed separately by the recommending 'sponsor'. In that case, confirmation will be emailed both to the candidate and the sponsor. Please contact the website administrator for any technical problems.